Disease modifying therapies (DMTs) reduce the frequency of relapses and accumulation of disability in multiple sclerosis (MS). Long-term persistence with treatment is important to optimize treatment benefit. This long-term, cohort study was conducted at the Calgary MS Clinic. All consenting adults with relapsing-remitting MS who started either glatiramer acetate (GA) or interferon-β 1a/1b (IFN-β) between January 1st, 1996 and July 1st, 2011 were included. Follow-up continued to February 1st, 2014. Time-to-discontinuation of the initial and subsequently-prescribed DMTs (switches) was analysed using Kaplan-Meier survival analyses. Group differences were compared using log-rank tests and multivariable Cox regression models. Analysis included 1471 participants; 906 were initially prescribed GA and 565 were initially prescribed IFN-β. Follow-up information was available for 87%; 29 (2%) were lost to follow-up and 160 (11%) moved from Southern Alberta while still using DMT. Median time-to-discontinuation of all injectable DMTs was 11.1 years. Participants with greater disability at treatment initiation, those who started treatment before age 30, and those who started between 2006 and 2011 were more likely to discontinue use of all injectable DMTs. Median time-to-discontinuation of the initial DMT was 8.6 years. Those initially prescribed GA remained on treatment longer. Of 610 participants who discontinued injectable DMT, 331 (54%) started an oral DMT, or a second-line DMT, or resumed injectable DMT after 90 days. Persistence with injectable DMTs was high in this long-term population-based study. Most participants who discontinued injectable DMT did not remain untreated. Further research is required to understand treatment outcomes and outcomes after stopping DMT. Multiple sclerosis (MS) is a chronic, progressively disabling disease of the central nervous system that evolves throughout adulthood. Without treatment most people with MS develop secondary progressive MS (SPMS) ; it is unclear if current therapy prevents this. Two types of injectable disease modifying therapy (DMT), glatiramer acetate (GA) and interferon-β1a and 1b (IFN-β), reduce relapse rates and delay the accumulation of neurological injury in RRMS [2–5]. However, DMTs are meant to be long-term treatments, and clinical trials do not represent long-term management in the everyday clinical setting. Adherence, which includes consistently taking prescribed doses and remaining on treatment over the long-term (persistence) is necessary to optimize benefits but patients with MS have various motivations to miss doses and discontinue treatment. Long-term studies are needed to examine treatment outcomes but they are dependent on adherence to DMTs . Persistence is considered one of the most important measures of drug utilization . Factors that can improve persistence include patient education and support, consistency of the care provider, confidence in the physician, and shared decision making regarding treatment selection whereas depression, lack of hope, and cognitive impairment reduce adherence [7,8]. Additional MS-specific factors working against persistence are increased disability, perceived lack of efficacy, and adverse drug effects . Studies of persistence with GA and IFN-β in MS show widely varying results. Short-term persistence with the initial DMT ranges from a high rate of 86% after 3 years  to a low rate of 43% after 1 year . Variability in persistence may be attributed to differences in population characteristics, health care environments, class of drug evaluated, and study method. In this long-term, cohort study we examined persistence with the use of all injectable DMTs and the initially prescribed injectable DMT (GA or IFN-β) in adults with RRMS. We also determined which factors impacted persistence and whether our patients remained untreated after stopping injectable treatment. This study was conducted at the Calgary MS Clinic between January 1st, 1996 and February 1st, 2014. The clinic provides population-based multidisciplinary care to patients with MS or suspected MS who live in Calgary and Southern Alberta. Over 95% of the cost of DMT for active RRMS has been paid by the provincial government since December 1998. 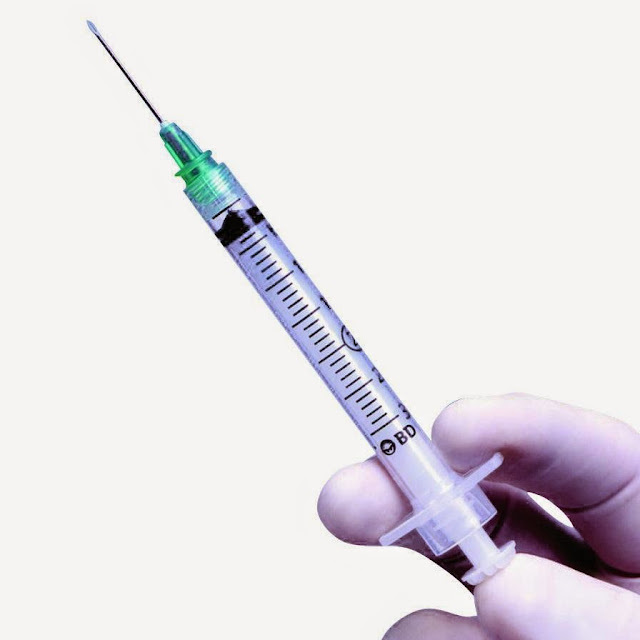 First line injectable treatment options during this period included: subcutaneous IFN-β-1b (approved in Canada in July, 1995), subcutaneous GA (approved September, 1997), subcutaneous IFN-β-1a (approved February, 1998), and intramuscular IFN-β-1a (approved April, 1998). Patients receive individual education and written information from clinic physicians and nurses before treatment selection. Use of a checklist supports preparation for treatment initiation. Treatment selection explicitly includes consideration of patient perspectives. Patients are then taught injection technique by pharmaceutical industry-funded home health nurses. Patients are reviewed at least yearly by a neurologist and are encouraged to contact clinic nurses or industry-sponsored telephone support nurses if they experience a change in their symptoms or difficulty managing DMT. Reassessment occurs as needed between annual visits where response, tolerance and adherence are reviewed. Government funding supplements MS clinic staffing (nursing and clerical) to enhance safety and patient adherence. Clinic processes assure collection of demographic (date of birth, gender) and clinical (disease onset date, Expanded Disability Status Scale [EDSS] score, relapse history) information at all visits. Provincial insurance requirements assure annual assessment. Data has been collected prospectively at treatment initiation and is updated annually. Date of treatment initiation is reported to the clinic by the nurses who provide injection training. Stop reasons are determined by discussion between patients and clinic nurses around the time of discontinuation and confirmed by chart review. Attempts to contact patients who seem to be lost to follow-up include letters to the patient’s family physician and to the patient asking them to contact the clinic. These processes ensure patient involvement in decision making about choice of treatment and ensure support, regular follow-up, and tracking of all DMT-treated patients. This study was approved by the Calgary Research Ethics Board. All participants provided written informed consent. The supporting STROBE checklist is available as supporting information; see S1 STROBE Checklist. All adult (≥18 years old) patients with RRMS who started an injectable DMT between January 1st, 1996 and July 1st, 2011 at the Calgary MS Clinic were included in this study. All participants met the 2005 McDonald criteria for MS and had either two relapses, or one relapse and a chronologically (≥3 months) separate gadolinium enhancing lesion on MRI, within the immediate 2 year period preceding DMT start . Those with clinically isolated syndrome (CIS) and most patients with progressive disease were not eligible for government-funding, and progressive MS at treatment initiation was uncommon at our clinic, therefore, these patients were excluded from this analysis. Those who previously participated in a clinical trial, initiated DMT before attending our clinic, began a second-line or oral therapy first, or did not provide written informed consent were also excluded. The sample size was determined by the number of patients who met the eligibility criteria. Persistence was defined as the time-to-discontinuation of all injectable therapies. The time-to-discontinuation of the first injectable DMT was also determined. Persistence was measured by calculating the number of days between treatment initiation and discontinuation. Ongoing use of treatment was based on participant history at their annual DMT review visit. A period without treatment of more than 90 days during treatment or between a switch was classified as discontinuation. Switching from one IFN-β formulation to another was considered continuous IFN-β treatment if the gap between drugs was not more than 90 days. Switching to a second-line or oral therapy (mitoxantrone, cyclophosphamide, natalizumab, azathioprine, fingolimod, or dimethyl fumarate) was also defined as injectable discontinuation. Participants were censored on the date they were last known to be taking DMT if they: (1) discontinued treatment due to pregnancy, (2) moved and were no longer followed in the Calgary MS Clinic, (3) were lost to follow-up, or (4) died. Those who were believed to still be on therapy as of February 1st, 2014 were censored on the date of their last clinic visit. Additionally, to evaluate the impact of the decision to limit the gap off treatment to 90 days we evaluated persistence using the definition of an off-treatment gap of 60 or 180 days [13,14]. The three IFN-β formulations were combined into a single IFN-β group after we confirmed that there was no difference in persistence between the two subcutaneous formulations of IFN-β (S1 Table) and decided that the number of patients treated with intramuscular IFN-β was too low (34/565) for it to remain a separate treatment group. DMT group comparisons (GA and IFN-β) were made using chi-square tests, t-tests, or Wilcoxon rank-sum tests, as appropriate. Median time-to-discontinuation of all first-line injectable DMTs, and the first injectable DMT type used, and 95% confidence intervals (CIs) were calculated using the Kaplan-Meier survival method. Potential predictors of persistence were age at index, gender (women, men), EDSS score at index, time from MS disease onset to the index date, initial DMT prescribed (GA, IFN-β), and initiation period (1996–2000, 2001–2005, 2006–2011). Survival curves were compared between groups using log-rank tests. Clinically meaningful cut-points were used to categorize continuous and ordinal variables: age (<30, 30–39, 40–49, and ≥50 years), EDSS score (<2, 2–3.5, and ≥4), and MS duration (<2, 2–4, 5–9, and ≥10 years). Age was subsequently dichotomized as <30 years and ≥30 years because there were no differences between the older age groups (data not shown). We used separate multivariable Cox regression models to investigate the impact of baseline characteristics on persistence with all DMTs and the first DMT type used, and report hazard ratios and 95% CIs as measures of association. The proportional hazards assumption was evaluated using statistical tests based on the Schoenfeld residuals and plots of the Martingale residuals were used to assess the linearity assumption of continuous covariates. Goodness-of-fit of the regression models was tested using the Groennesby and Borgan test. We also report reasons for discontinuing the initial DMT and describe utilization of DMTs after patients discontinued all injectable DMT. Statistical significance was based on a two-sided p value of 0.05 and all analyses were performed with the statistical software package STATA, version 11.2 (StataCorp, 2009). Of 1998 patients who started a first-line DMT, 1476 met the study criteria (Fig 1). Of these, five were excluded because three had no follow-up information and two were censored less than 90 days after initiating DMT. Thus, the survival analyses included 1471 patients. Six participants were missing EDSS scores at treatment initiation so they were removed from multivariable analyses and the reason for stopping their first DMT was unknown for 9 patients; data was otherwise complete. The baseline characteristics of the study cohort are presented in Table 1.